Motorized utility carts are some of the most versatile material handling solutions for incorporating ergonomics in the workplace. They can be implemented on the retail floor, in the warehouse or machine shop, or even the clinic. Anywhere heavy bins, boxes, and materials need transporting, motorized utility carts can get the job done more efficiently and safely. This cart includes optional wire mesh siding. A Tier 1 supplier to the automotive industry needed some help to move materials around their manufacturing plant. 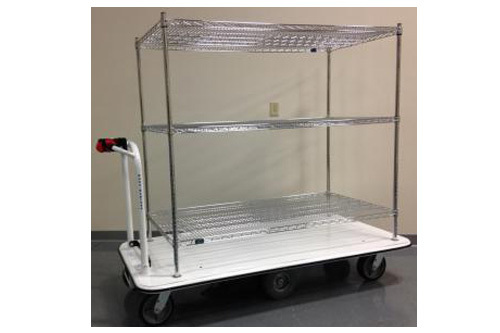 Solution was a double deck custom cart. Enclosed cabinet with fold-up door for easy loading and unloading of records to be transported. This cart includes a special purpose rack. This cart is used for servicing vending machines. It includes bins for product replenishment and a safe for securing cash. Special racks added for retaining weights. Extra low platform for ease of loading. 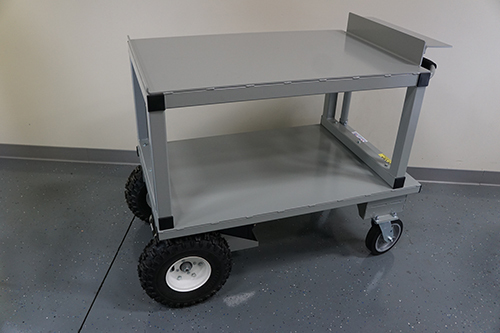 For unconventional applications where a standard cart will not work, Electro Kinetic Technologies specializes in custom motorized utility carts and trailers. Our team of engineers will work with you to design and manufacture the product that fits your exact requirements and within your budget. To see some samples of our work, visit our custom gallery. If you’re still not sure what kind of custom solutions will best address your transport problem, click the link here to learn more about our engineering services. 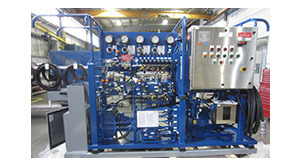 Additionally, our Ask An Engineer portal is always here for you, should you prefer to contact one of our engineers directly via email, with the option to upload photos of your equipment and/or work environment. 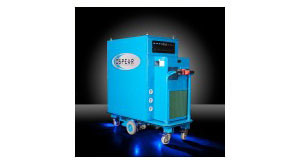 Whether or not a motorized platform cart is the best ergonomic solution for your needs, an Electro Kinetic Technologies engineer will guide you in the right direction.